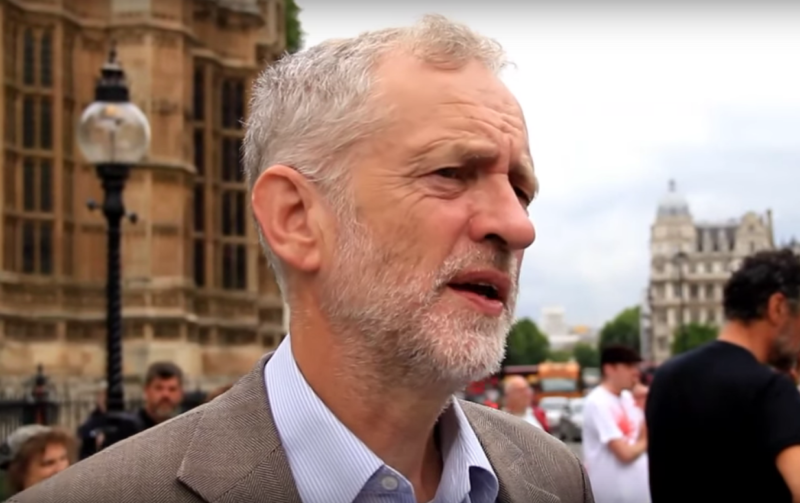 Could anti-semitism row & recent NUS vote affect the London Election result? It has been impossible to miss the trouble consuming the Labour Party over the past week as the anti-semitism row overshadows the start of the local election campaign. Whilst coverage reports that over 60% of Labour Party members believe that the accusations are hyped up by the press to damage Corbyn, what really matters on 3rd May is what the other 40% and, more crucially, what non-party member Labour supporters do. And what the thousands who have resigned their memberships in recent weeks do. In London, outcomes in boroughs such as Barnet, where the Conservatives lost their majority last month after one deselected councillor quit the party to sit as an independent, have been seen as almost a foregone conclusion that Labour will win given its recent dominance of London politics and the unpopularity of Brexit in the Capital. However, with a significant Jewish population and a more moderate left population in general, the current disturbing row could have a significant impact on turnout and voter intention. Other areas such as Westminster and Wandsworth, targets for Labour as they would symbolise that the party is indeed ready to take power nationally if they can win there, may now seem much less achievable. This latest upheaval could mean the difference between Labour winning Wandsworth one seat or the Tories actually having a workable majority. It potentially now makes Westminster a bridge too far. Labour needs to win London convincingly and command councillor numbers which effectively decimate the Tories as a force in London. Anything else will be seen as failure. The anti-semitism row has the potential to damage Labour in some boroughs where their control of the council is not at risk but where they were hoping to wipe the Conservatives off the map. These include Camden, where Labour is hoping to gain wards from the Conservatives such as Hampstead Town, Belsize and Swiss Cottage which have a not insignificant Jewish population. It may also thwart Labour’s attempts to win the heavily Orthodox Jewish Springfield ward which still has three Conservative councillors and where Sadiq Khan recently campaigned. The furore around the issue as well as Corbyn’s questionable judgment – he still appears not to understand that perception is everything in the public sphere – and suddenly things do not seem quite as clear cut as a few weeks ago. Amidst the blanket coverage of the anti semitism row many will have missed another development which is perhaps more significant for the long term prospects of the Labour Party. Last week the current moderate to left Labour NUS President fought off a challenge from a Momentum candidate, comfortably winning the vote after a vicious fight marked by shut downs, occupation of the main hall and general nastiness. It was ever thus in student politics. Whilst perhaps over-egged somewhat by the press, this is significant as the future of every party lies at least in part in its student membership. Student politics is often derided and individuals within it written off as reactionary or just inexperienced. However, NUS politics remains a well trodden path for many future politicians, leaders and those who advise them. Whoever is in charge of NUS has a unique ability to communicate with a vast body of first and second time voters, that Momentum do not have this now in their control is a huge blow. Of crucial importance in the election context, Party leaderships depend on their student members and supporters to stomp the pavements, staff phone banks, deliver leaflets, knock up on Election Day, generate enthusiasm from the bottom and take a central role in getting the vote out. If this body of the party begins to waver it is not a good sign for the prospects of the party at elections. Turn out is key for Labour and never more so than at the locals when turnout is traditionally pitifully low – the general assumption is that high turnout is better for Labour is it means a good proportion will be first time voters, students or non regular voters (all more likely to vote Labour statistically) and heavily influenced by the number of party members on the ground. It starts to rain mid afternoon, turn out drops and with it a disproportionate amount of the Labour vote. If there are less people to get the voters out, this may show in final vote counts. Two weeks is a long time in politics and there is plenty of time for the Tories to mess up Brexit, launch a terrible manifesto, be seen to ignore the NHS or otherwise perform in a manner which puts voters off. However, much of this is to an extent already built into election predictions. When it comes to the results when we all wake up on 4th May, the Labour high command should be worried. We watch the next month with interest.